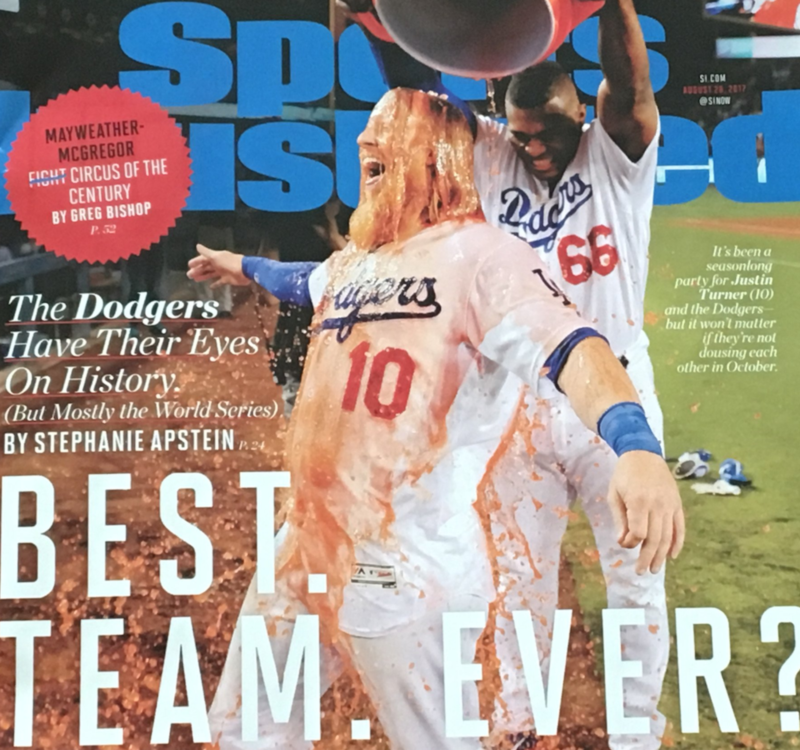 I was in the Dodgers clubhouse before a game last week at PNC Park when the Sports Illustrated cover was released featuring Justin Turner immersed in Gatorade, the orange liquid nearly a match for the hue of his iconic mane and facial hair. The amiable Turner was of particular interest that day due to his cover-boy status. He accommodated round after round of media interviews before his locker in the road clubhouse. The Dodgers have perhaps the largest traveling media contingent in the National League. I waited not for not an interview but an introduction. As someone who has promoted the Air Ball Revolution, I wanted to express my appreciation for his work and to note our mutual acquaintance, private hitting instructor Doug Latta, who helped Turner rebuild his swing and philosophy. In passing, I asked Turner not about the photo (which is tremendous), but about a passage from the accompanying article by Stephanie Apstein. [Justin Turner] persuaded a fringe major leaguer with a career .598 OPS to spend last offseason overhauling his mechanics; Chris Taylor, now a starting outfielder, has been L.A.’s best second-half hitter, with an OPS of 1.105. Since Turner assigned right fielder Puig five pushups for every grounder he hit in spring training, Puig has pounded the ball harder than in any season since his first. Turner cues up the curveball machine and challenges 22-year-old rookie first baseman Cody Bellinger to fly ball competitions, with the winner taking home $10 per session. “I’m down a little bit,” Bellinger admits. It’s worth the lighter wallet, though: His .800 slugging percentage on curves is second in baseball. The team as a whole has cut its ground ball rate by 8%, the biggest drop in the league. I’ve previously explored the idea of how air-ball advocates like Daniel Murphy might influence teammates in positive way, how they might be adding value simply by communicating ideas. As a club, the Dodgers have dropped their ground-ball rate from 46.4% last year to 42.9% this one. It’s the third-largest dip in the game from 2016 to 2017. Consider the following table, which appears here thanks to the expertise of Joe Douglas and features the greatest changes in ground-ball rate among teams this year. Belligner’s uppercut has always given him natural loft, and his 0.62 GB/FB mark is in line with his minor-league track record. But a number of other Dodgers have demonstrably changed their approach. Taylor has become more of an air-ball hitter. Corey Seager has dropped his ground-ball rate from 52.3% as a rookie in 2015 to 46.3% last season to 41.1% this one. Puig has listened to Turner, as perhaps has Yasmani Grandal, who has posted his top two fly-ball rates in 2016 and 2017. The Dodgers are doing a lot of things right, of course. But they’ve also improved their ability to get batted balls off the ground and into the air. The Dodgers had a collective launch angle of an even 10.0 degrees last season; the MLB average was 10.8. This year, the Dodgers have boosted their average launch angle to 11.6 degrees, while the league has experienced an uptick to 11.1 degrees. The Dodgers rank second in baseball in expected wOBA (.333),behind only the Tigers. They ranked 10th a year ago (.323). The Dodgers are extremely talented, but they’re also learning and improving. Their .192 ISO ranks first in the NL, as does their .336 wOBA; their .447 slugging mark ranks second to the Nationals. Those marks are up from last season, when they recorded a .160 ISO, .409 SLG, and .314 wOBA, respectively. The Dodgers have returned many of the same players and the actual ball, according to Dr. Alan Nathan’s study, might not be playing all that differently this season from last. So part of this is explained by skill growth. Even hitters at the pinnacle of the sport can change and improve if they’re willing to listen and adhere to the right voices. Turner’s is a voice worth listening to. 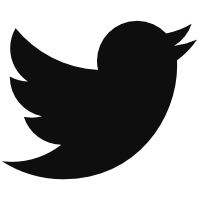 We hoped you liked reading The Dodgers Are Listening to Justin Turner by Travis Sawchik!